3,680 square metres of new space currently under construction for Sacorp Logistics, a Czech third-party logistics provider. 2,599 square metre renewal and 708 square metre expansion with Toyota Material Handling CZ, a major supplier of warehouse technology, bringing the total leased space to 3,342 square metres. 1,768 square metre expansion with Albatros Media, one of the largest publishing houses in the Czech Republic and Slovakia, bringing the total leased space to 8,211 square metres. 1,100 square metre renewal and 726 square metre expansion with Author, a Czech bicycle producer and wholesaler, bringing the total leased space to 1,826 square metres. “Just two years after its acquisition in September 2014, Prologis Park Prague-Rudná has quickly become a key asset in our Prague portfolio where, in addition to the aforementioned transactions, we currently have 34,200 square metres under construction for Sportisimo, a Czech sporting goods retailer,” said Martin Baláž, director, leasing and development, Prologis Czech Republic and Slovakia. 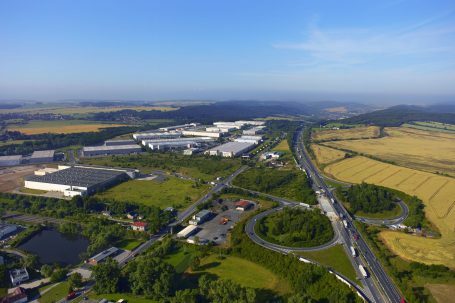 Located off the D5 highway, 20 minutes from Prague’s city centre, Prologis Park Prague-Rudná comprises 18 buildings totalling 175,000 square metres of state-of-the-art distribution space. Prologis is one of the leading providers of distribution facilities in the Czech Republic with more than 985,000 square metres of logistics and industrial space (as of June 30, 2016). Prologis, Inc. is the global leader in logistics real estate with a focus on high-barrier, high-growth markets. As of June 30, 2016, the company owned or had investments in, on a wholly owned basis or through co-investment ventures, properties and development projects expected to total approximately 666 million square feet (62 million square metres) in 20 countries. Prologis leases modern distribution facilities to a diverse base of approximately 5,200 customers across two major categories: business-to-business and retail/online fulfillment.